Today we’d like to introduce you to Toni Scott Grant. Toni, can you briefly walk us through your story – how you started and how you got to where you are today. My story is deeply rooted in the form of fashion styling when the title or career name was relatively unknown in the mid to late 90’s. 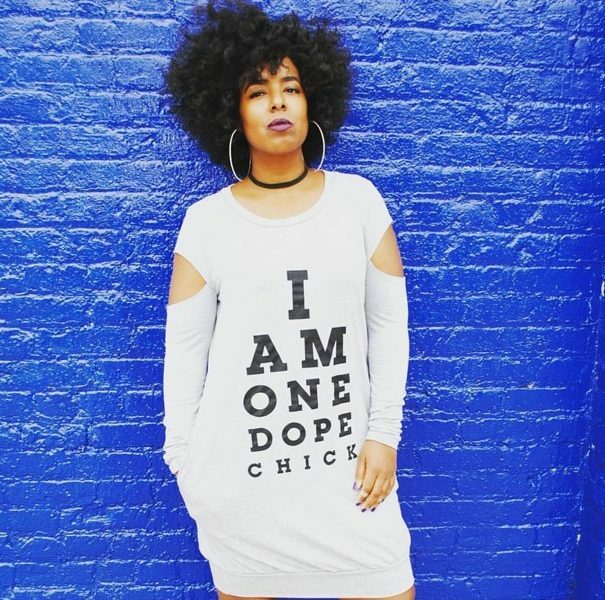 As a teen, I was a pupil of some of the dopest fashion stylists in the game, just by watching women like Dawn Haynes, Mysa Hilton, Sybil Pennix and June Ambrose. When they were doing it, there was no blueprint or glamour about it. Showrooms scoffed or altogether denied requests to have wardrobe pulled for hip-hop and R&B acts. If you wanted their clothing you had to outright buy it and *eh-em*, return it when all was said and done. But then BOOM, the tides started to shift just a tad. In 1996, iconic Rapper & Poet, Tupac walked down the runway in a crushed-velvet gold suit for Versace at their fashion show in Milan – major game change and a first for any hip-hop artist! Some of those same high-end designers that wouldn’t give a stylist the time of day back then, practically shove samples at artists these days. Styling music mega-producer Timbaland in 1998 was my first “real” gig. It was challenging because I had to design for him from scratch, on the road, from Houston (my then hometown) where resources were limited and using just a few suits he had given me from his personal wardrobe. I worked with a local designer and seamstress, Tanya Mayes to complete the looks from my sketch work and sourcing. I knew he hired me to prove my skill set or lack thereof but we got it done and the client was happy and I felt extremely proud of the work we’d accomplished. Moving to NYC from Houston was crazy. I had no family and maybe 2 people I knew but I was never afraid. I was lucky enough to meet Groovey Lew (fashion stylist to P Diddy) who mentored me and shoved me off the cliff and dropped me into the land of NYC street fashion, even though I had only a few gigs under my belt. The kids may not know Groovey because he’s extremely low-key, but those who know, know; fashion circles are very small. He taught me so much but the three most important things I learned from him were let the work reflect, stay humble and off the radar. He is my brother still and I’m grateful that he embraced my southern naivete and listened to whatever ideas I had. NYC was an everyday grind; those rumors are true. By day, I was a showroom manager/publicity rep for a high-end clothing line and by night I was a student at FIT. And in between, I HUSTLED! I took weekend styling gigs for commercials and videos (some of which were non-paying gigs); I networked at parties, movie premiers, industry events. It was A-list AM’s and “I’m sorry who?” PM’s. I didn’t care, I was happy to have the work, no matter what it was. And even though the AM job was awesome with some major perks, industry life can get old, really fast. After a while, I longed to be my own boss. I got an opportunity to assist in the costumes department of a small film being shot in the Hamptons so I quit my day job at the showroom to focus solely on my passion for fashion costuming and working for myself. After quitting my day job, I survived 9/11 (literally) in NY only to receive the devastating news that my mother was ill with Cancer. I left NY and a dream career to return home to Houston to care for her. She would, unfortunately, pass away a few years later. I had no choice but to rebuild and reinvent myself after such a loss and working corporate jobs I hated. My side-hustle mentality wouldn’t allow me to ever work for someone again. I started a now-defunct clothing brand called ‘Junk N Da Trunk’… I know, LOL! Lost the trademark and thousands of dollars of my own seed money. Next up was an online boutique startup, ‘Scott Phree’ (after my namesake) which boomed into a local storefront in Houston’s Montrose-area. The economic crisis of 2009 would soon tank this business. A car accident would soon follow. 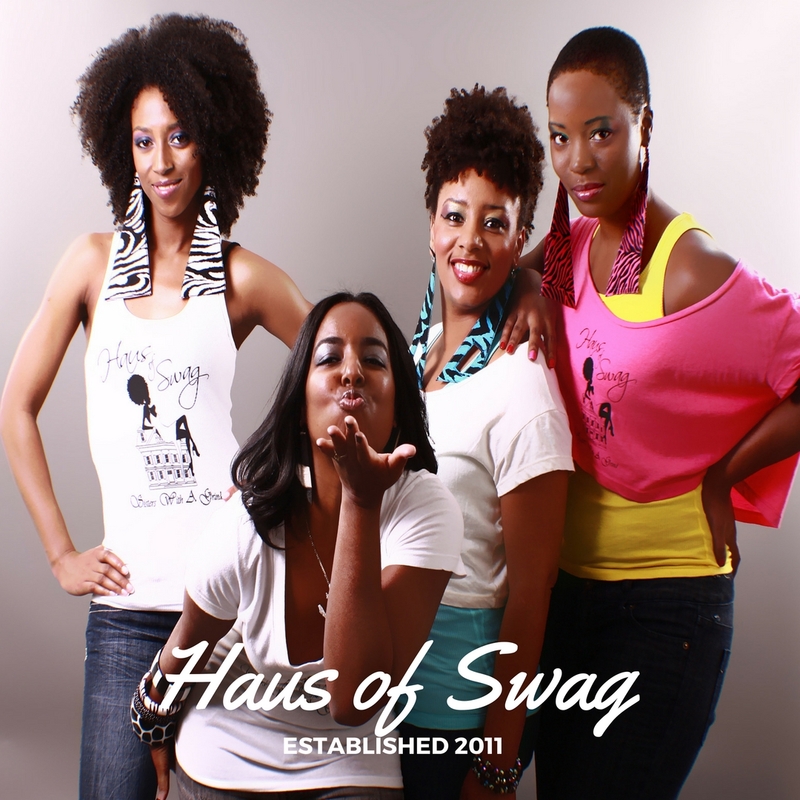 Haus of Swag was born from a literal dream in 2010 coupled with the frustration of finding not (1) graphic tee in mainstream retail that was relatable to women who looked, walked or talked like me. I felt that there was a representation void of our aesthetic and thus came the idea to develop a lifestyle brand that would embody all of our fly fashion and dope complexities. No, we’re not all the same, but most of us share similar stories. Therefore, the logo displays a glamorous woman on top of a “HAUS” which depicts us on top of our game. It’s all relative. The road to entrepreneurship and business, in general, will never be easy. Even if you had great tools, resources, and funding in place – there is still the unknown and ignorance is costly. I’ve had MANY struggles, LOL – how much time do we have!? In fact, I’ve possibly had more losses than wins yet I wouldn’t trade it for anything. I’ve sold a luxury car, designer shoes and bags to start and grow my businesses and would do it again. Use what you have. Failure is a part of it – there are no shortcuts. Price is what you pay; value is what you get. Many look up for resources and a team, look to your left and to your right – that’s your resource. Leverage your friendships and relationships to help build and sustain your business. There are many struggle stories that come to mind but there is one in particular that sticks out like a sore thumb. Having started Haus of Swag in 2010, one would assume after a career in fashion styling, PR, television, film, and print I’d have a sort of blueprint for sourcing – WRONG! This is all prior to social media being the necessary component that it is today. We were set to have one of our biggest tradeshows in Atlanta and there was lots of money on the table in terms of budgeting costs. We sourced a t-shirt screen-printer locally at an attempt to keep shipping costs low. I was particularly worried about this printer because they didn’t service clients in ‘fashion’. Most of their projects were sports teams (including the Houston Rockets and Texans), corporate company functions, etc. I was a bit turned off but I thought, that’s the NY-er snob in me showing up and I told myself to relax and trust that they could do the print job. We fly into Atlanta on a Thursday, 2 days before the event and found that all the tradeshow materials had shown up to our hotel except for – you guessed it – our t-shirts. Did I mention this was our first BIG show where there would be an attendance of over 60,000 women. I panicked BIG TIME. I called our sales rep and he said he’d call the warehouse and get back to us. Turns out, the shipment was scheduled to arrive on Saturday – THE DAY OF THE SHOW. OMG! It was a big mess. He was able to get FedEx to put the boxes on a plane to expedite overnight but we’d have to pick up from a FedEx location in Atlanta, the morning of the show. We found the FedEx location which opened at 7 am and hunted those boxes down. We grab the boxes, loaded up our rental SUV and rush to the convention center. We’re late setting up and were scolded about it for sure. Folks were coming to our booth and we were still setting up. I open the boxes and GASP. there were 4 out of the 10 graphic sets that we had printed up that were totally messed up. Some had small graphics that didn’t match the initial samples we submitted, some were printed on the wrong color or style tee (vneck versus round neck) and 2 we couldn’t put out on the sales floor AT ALL. It was a complete nightmare. I was shaken to the core but determined to make it work. Quality is imperative to our business and brand and even in the early stages, I was and am a stickler for quality. I felt so defeated. However, at the behest of my husband, I raised my head and chin up and salvaged what we could. People were at our booth in droves and we sold-out of everything else that we had. It was an awakening that we were on to something. I had a woman cry at the sight of one of our graphics and she thanked me for showcasing (in her words) ‘the beauty of black women’. Back in Houston, my sales rep (while in Atlanta) promised to fix the fiasco. I called first thing Monday morning and went over all the issues and the rep to refund the total amount of screenprinting job. A week went by and no refund. I called again and before the receptionist transferred me, she said in a very discreet voice, asked if I could hold to which I said yes. A minute or so went by and she came back to the phone and said, “I shouldn’t share this with you but I love your clothing and what it stands for and it’s wrong what they did. They had a meeting about your print job and the President remarked that you would not get one single dime back in a refund.” We’re talking thousands of dollars lost and thousands of dollars they were paid to do the job correctly. With that information, I filed a dispute with my bank and I WON! Moral of the story, never back down and FIGHT for what is rightfully yours. My advice to any young women starting any journey of business ownership – RESEARCH. RESEARCH, RESEARCH. I say this all the time when I’m giving the opportunity to speak on panels and in schools with our youth. You have at your fingertips a world wide web full of vast knowledge for any field and it’s FREE – use it to your advantage! This is not to say that everything you find on the internet is factual nor beneficial but as with any research, over time you find the truth. Be strong in your conviction that there isn’t anybody like you and that is where your POWER lies. Real business solves a problem. If you are not solving a problem – you have a hobby, not a business. Believe in yourself and your abilities when no one else does, it will get you through the toughest of times. Never forget why you started and that one day your story will inspire someone else to go for it! Authenticity is key, always be and bet on yourself. So let’s switch gears a bit and go into Haus of Swag story. Tell us more about the business. I am the founder and head designer of Haus of Swag. In addition to Haus of Swag, I am a member of NY’s Theatrical Wardrobe Union, Local 764 where I’ve had the opportunity to work in the film and television industry as well as a costume designer and wardrobe stylist. I’ve had the opportunity to have costumed some of the music industry’s elite artists/tours such as Janet Jackson, Barbra Streisand, Justin Timberlake, Jennifer Lopez, Madonna and Rihanna. 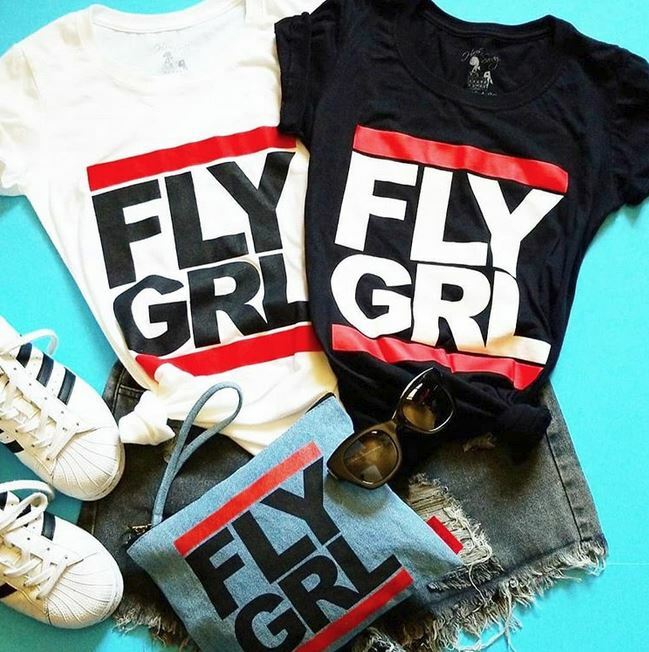 Haus of Swag – a Brooklyn based apparel company is aimed at empowering and inspiring women and young girls. 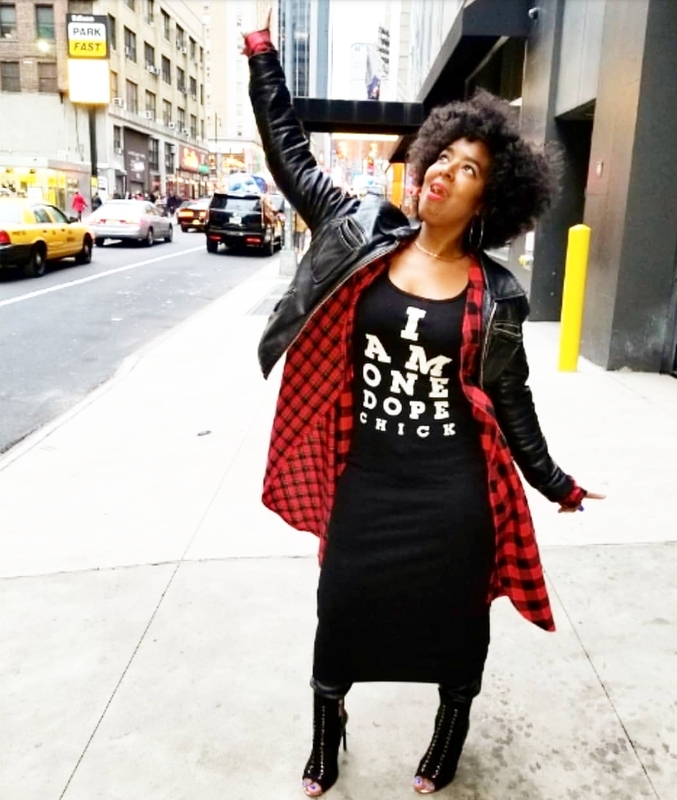 Did you know that 60% of the world has textured hair; yet, no major fashion brand addresses girls with curls… not fashionably anyway; Haus of Swag does. 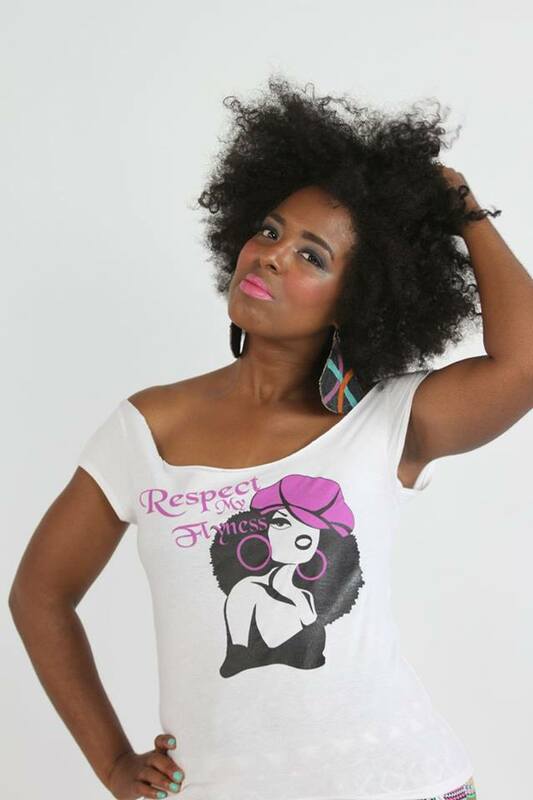 While we are women and fashion centered, graphic images of women with big textured hair is methodical and imperative to our imagery and the messages we convey. Quite often, specifically at our start in 2010 – this diverse group was largely ignored in the fashion retail space. Haus of Swag set out to change this. We blueprinted what a stylish woman belonging to this sector looked like and it was very intentional. 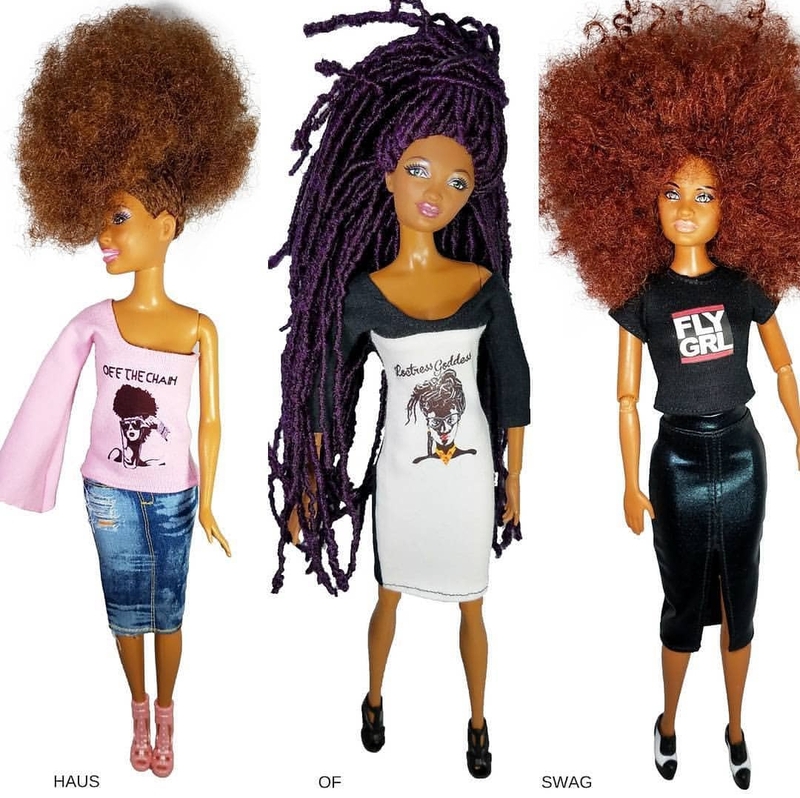 In 2014, we extended our product lineup with The DollHaus Project, a custom collection of black fashion dolls – which aims at changing the beauty narrative for women of color with textured hair. 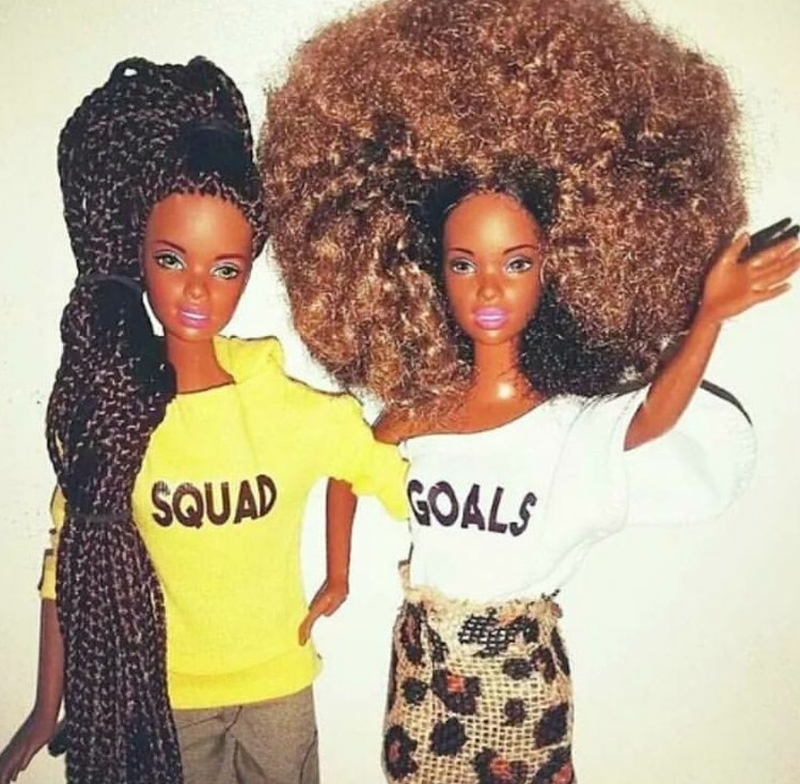 The dolls have appeared in Huffington Post, Essence.com, The Detroit Press and made an appearance on NY’s ABC 7. It’s funny because every brand has the (1) identifier or thing that they become infamous for. Ralph Lauren has the jockey and horse, Nike has the ‘check’ symbol, McDonald’s has those yummy fries and here we are letting the world know just how DOPE we truly are. 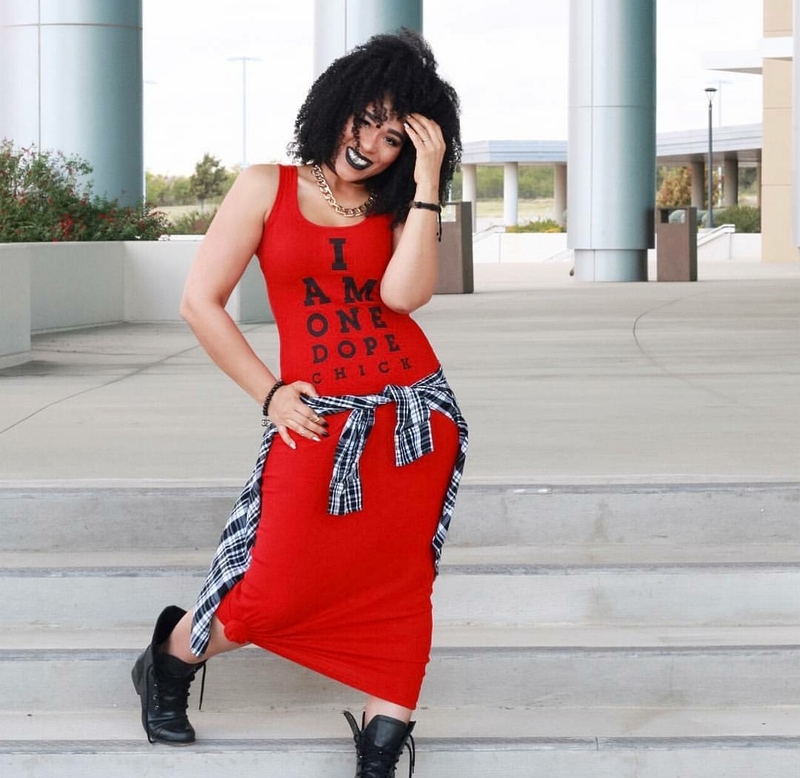 I had one client battling cancer and she posted on Instagram an image of her wearing our ‘I Am One Dope Chick’ tee. Her smile was so big and her eyes sparkled. I could tell how good it made her feel and that was so inspiring – it rendered me speechless and made me so happy. 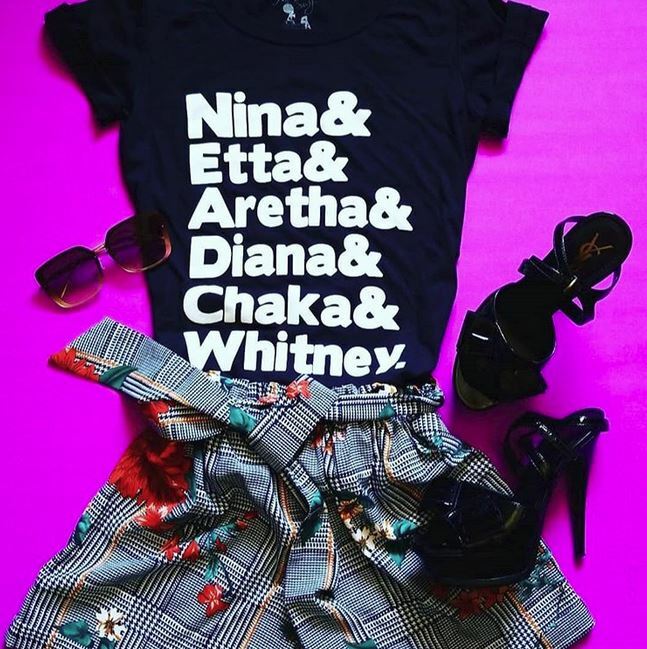 Investors think of t-shirts as a commodity of sorts, but people are intentional when they wear them and are very emotionally connected to the words that are displayed – whatever they may be. Know your business inside and out and research, research, research! Don’t focus on the money, it will come. Do focus on time management, staying connected to your core clientele and planning ahead. And never be afraid to ask for help. Your team should consist of people who know more than you do in other respective areas of your brand or business. Failure is a huge part of any success. I stopped counting the failures after a while; I found it distracting. You give it your all and keep it moving. Do one thing for your business and that scares you EVERY DAY; especially in times of procrastination, complacency and doubt. Pain is a great motivator – feel and overcome it. You won’t win at everything, and you may lose at most of it, but at least you had the courage to try. When you lose, take a deep breath, dive in and try again. If you are afraid of failure, you may as well pick up an application or find a “help wanted” sign because entrepreneurship is one of the most difficult, soul-wrenching, roller-coaster-like journeys you will ever take both emotionally and financially. To overcome, you have to build your stamina for disappointments and setbacks. While none of us like to be told no or that we can’t do something, it happens; for some of us, it happens every day. Losing ain’t pretty, so we fall in love with the win. But to get to the win, you will lose; its part of it and there is no place called careful.